Yesterday, God put a sword in my hand. He led me into battle against the mightiest foe I could ever face…myself. 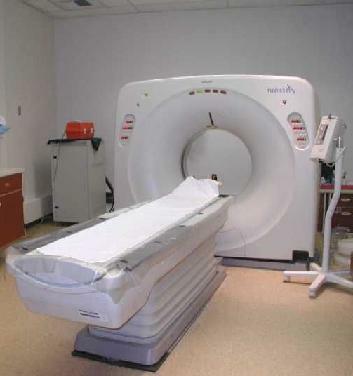 The dreaded CT scan was the battleground. His Word was the sword. And the people He placed in my path strengthened my faith, which had the effect of shoring up my shield. After the horrible CT Scan experience a couple months ago, this repeat scan was hanging over my head like a brick just waiting to fall. I kept pushing thoughts of it out of the way, but still it hovered, ready to infect my thoughts with dread in every vulnerable moment. But I was prayed up. The Lord kept telling me through scriptures and quiet time to Trust Him. I had my church community group praying for me, my family praying for me, and this time, my husband drove me. My daughter held my hand as we walked up to the oncology building. There is something unsettling about walking into an oncology office when you have not been diagnosed with cancer…at least it was for me. I didn’t quite know where to look. Do I smile at the lady sitting across from me in the waiting room? The one with a head scarf? Do I look the other way when the family tearfully rallies around an older gentleman, helping him walk through the hallway to the exit? Then I looked up at him and noticed he was wearing a beautiful cross around his neck. His eyes were kind. And right then I knew that with my family waiting outside the room for me, the Lord with me inside my soul, and this Born Again Christian inserting my IV and working the machine, I was indeed in very good hands. I’ve had many IVs in the course of my life, and I have never had anyone insert it so gently as that man did yesterday. Thanks be to God, He shielded me from another panic attack by his Word, by the prayers of my family and friends, and by his Presence. I was tended to by a like-minded Christian. I had my family with me, supporting me. So even though I was terrified, even though I dreaded another CT scan, the contrast dye and the subsequent metallic tang in my mouth and flushed feelings, I faced them all. My heart pounded wildly, but my legs did not shake. I sensed the full armor of God flanking me, keeping out the obsessive thoughts. Yesterday, his armor protected me from myself. “13So put on all the armor that God gives. Then when that evil day [a] comes, you will be able to defend yourself. And when the battle is over, you will still be standing firm. 14Be ready! Let the truth be like a belt around your waist, and let God’s justice protect you like armor. 15Your desire to tell the good news about peace should be like shoes on your feet. 16Let your faith be like a shield, and you will be able to stop all the flaming arrows of the evil one. 17Let God’s saving power be like a helmet, and for a sword use God’s message that comes from the Spirit. I pray you will experience the armor of God in your battles today. May your Christmas be holy…and strong. Next Next post: Give Me Liberty, Or Give Me….Healthcare?